NEW YORK, Dec. 4, 2017 /PRNewswire/ -- Today, Everyday Health Consumer announced the appointment of digital marketing executive and journalist, Maureen Connolly to the role of Vice President and Editor in Chief. 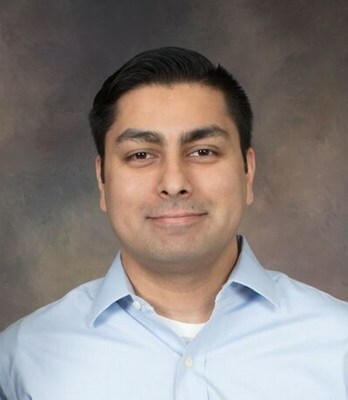 Digital content and measurement expert, Ali Hasan has also been hired to serve as Vice President and Head of Engineering. Joining Everyday Health, which reaches an audience of more than 40 million across its flagship property, EverydayHealth.com, and associated sites, Connolly will lead all aspects of editorial and multi-channel content publishing as well as optimization--including web, mobile, social, video, podcasting, apps, news and patient education. Hasan will oversee front and back-end development and delivery as well as the ad-tech stack for multi-channel precision health targeting and health data products and services. 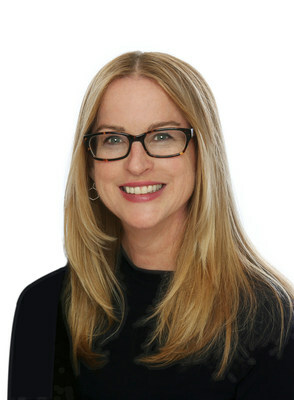 Lisa Kennedy, Everyday Health Consumer EVP and GM said, "Connolly and Hasan's background and expertise span the breadth of servicing mass media, global agencies and digital audiences resulting in valuable advances to healthcare, disease management, patient communities and analysis. I could not be more confident in our business today especially with their talent, experience and cultural fit. It truly is an exciting time at Everyday Health Consumer." Connolly is a seasoned health journalist, content creation executive, published author, and well-known voice in the online health community. Before joining Everyday Health, Connolly served as Editorial Director at Vertical Health, LLC, where she oversaw content direction and development for PracticalPainManagement.com, OnTrackDiabetes.com, EndocrineWeb.com, SpineUniverse.com and PsyCom.net. During her tenure at Vertical Health, Connolly increased traffic and implemented SEO strategy to raise Google page rankings and social engagement across all verticals resulting in a page 1 ranking for key diseases and conditions. She also spearheaded social and podcast efforts and is the creator of the #1 ranked podcast for diabetes, "The Diabetes Dish." Furthermore, Connolly is also a former contributor and producer to The Cleveland Clinic, PBS, and The Dr. Oz Show. She is the author of 3 books: The Essential C-Section Guide, Unbuttoned: Women Open Up About the Pleasures, Pains and Politics of Breastfeeding and Ready, Set, Baby! (2014 Digital Book Award Finalist). "Everyday Health gives consumers a platform to be better informed about their health and make more decisive and proactive decisions to benefit it," said Connolly. "Joining the organization, I look forward to bringing my past experience to expand this reach and deepen Everyday Health's impact fueling its growth and its value as a leading online resource." Hasan is an engineer with a breadth and depth of experience in digital publishing platforms, advanced media and measurement, mobile advertising and health data and analytics. Hasan's work has enabled global agencies, leading medical institutions, and some of the largest consumer brands to have an impactful digital presence and business. Before joining Everyday Health, Hasan was VP Engineering at COTA (Cancer Outcomes Tracking Analysis) and in key engineering roles spanning application and back-end database development to HTML5 and front-end programming for AOL (web tech), Weill Medical College (programmer), Brightline (interactive television), Medialets (mobile media and measurement), and Echospin (e-commerce). "The opportunity to lead the engineering team and the Everyday Health Consumer platform today, and into the next century, is groundbreaking," said Hasan. "Impacting the health data landscape from every angle – precision media targeting, outcomes-based personalized content experiences and data-driven apps – is what we'll be intensely focused on." For more information about Everyday Health, visit www.everydayhealth.com. Ziff Davis, a subsidiary of j2 Global, Inc., is a leading global digital-media company operating in four core verticals: Technology, Gaming, Healthcare and Shopping. Its brands – PCMag, Speedtest, ExtremeTech, Geek, Toolbox, IGN, Everyday Health, MedPage Today, AskMen, Offers.com, TechBargains, emedia and Salesify – produce and distribute premium content across multiple platforms and devices. Ziff Davis delivers advertising, performance marketing, data services and licensing solutions to thousands of clients worldwide. Ziff Davis publishes in 25 languages and successfully partners with local publishing operators across 114 countries.